I like varnish a lot. It makes crappy sites fast. But varnish won’t cache https unless you use SSL termination with nginx or hitch. Its fairly straightforward to setup nginx/hitch for SSL termination in front of varnish. However, the problem that you may encounter with SSL termination is that CMS such as wordpress will see and serve the requests as http, which most browsers will block as mixed content. Adding an .htaccess redirect will cause an infinite loop. Adding this to the top of the wp-config.php resolves the issue. 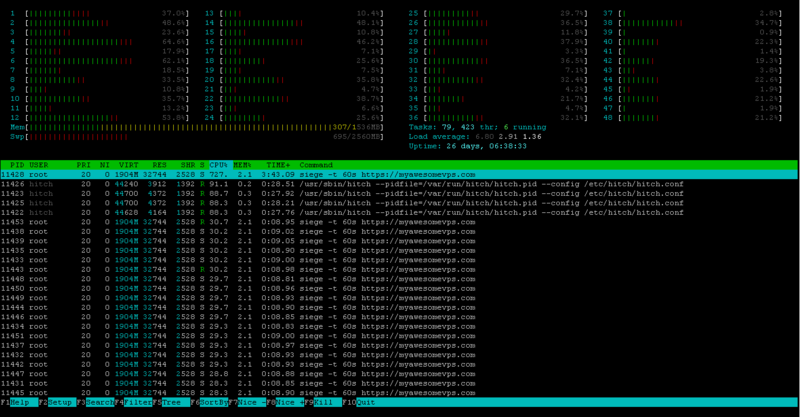 Of course, we have to benchmark, which on a VPS, isn’t accurate since I’ve noticed huge variations between tests. 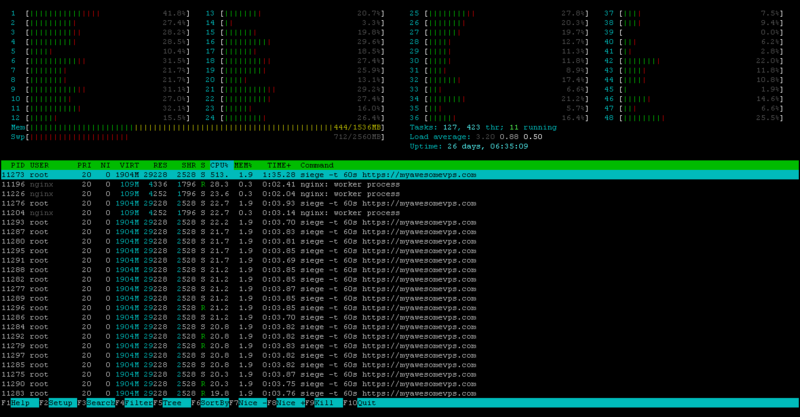 However, Hitch resource usage is consistently lower than nginx’s. NOTES: Varnish has significant performance gains over Apache for static content, however, with much higher CPU load of ~8 vs Apache ~3, during benchmarks. RAM usage is similar. NOTES: CPU load approaching 10, much higher than with apache, and less overall hits as well. I will have to complete 1000 concurrent test another time, as VPS is becoming unresponsive.